Tax Reform: Tax Tips for Lowering Rates for 2018 Taxes! Be ready for the new tax reform. Get your to do list out and take some action to reduce your 2018 taxes now! Although taxpayers might be hurriedly finishing their 2017 tax returns before the e-file deadline, some tax deductions will not be there for the next tax season due to the Tax Cuts and Jobs Act. (TCJA) Ultimately, the design of the new tax reform is to lower taxes for individuals of all income groups until 2025. Bear in mind that along with that idea, many individuals who itemize their deductions are worried about the tax turmoil they’ll face when filing with each capped or eliminated deduction. Did you know that can take steps in 2018 to decrease your taxes for next tax season? Here’s a few tax tips for you. Rack up your medical receipts. Did you know that about 40% of New Year resolutions are money-related? Whether it’s spending less, saving more, or just getting financially organized overall, it’s important to most of us. As we already know, taxes have a lot to do with our money goals. We’re either itching to get a hold of our tax refund or dreading paying our tax due. Whatever the case may be for you, we’re going to help you tax charge of your financial resolutions for 2017. 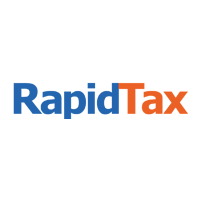 With the RapidTax 2016 Tax Calculator, you’ll be able to see the big picture before even looking at a confusing IRS form. How can the tax calculator 2016 help me? Calculating your 2016 tax refund. Figuring out your 2016 tax balance due. Seeing how your filing status, income, exemptions, expenses, and qualifying deductions and credits affect your tax situation. Our tool allows you to take many aspects of your specific circumstances into account before filing your return. You can enter all donations, retirement income, investments, etc…for the year to see your refund increase or decrease. Then we’ll provide you with a detailed summary so that you understand our calculations. It’s almost too easy to navigate our calculator. You have access to different tabs. Within each tab, you’ll enter your tax information to the best of your knowledge. Remember, you can use estimated amounts if you haven’t received certain income statements yet. Need to find out your prior year refund or tax due amounts? We have calculators for 2014, 2015, and 2016 too! The refund schedule is something that the IRS has discontinued due to accuracy issues. However, the cycle tends to be generally similar each year. It’s important to realize that these dates are not guaranteed to be accurate. They are ESTIMATES based on past tax seasons. This year does come with a few exceptions that should be taken into consideration**. Step into 2016 knowing what to expect. Many of us go into the new year with high expectations for ourselves; some realistic and others… not so much. Why not get a head start on a resolution that will actually stick this year? Tax season 2016 officially kicks off on January 19th. This means that the IRS won’t begin e-filing until that date. In the meantime, you can see how much of a refund you should expect this year using our free 2015 tax calculator.